Learning how to sharpen drill bits is a simple alternative to constantly buying new bits every time the current ones start to feel dull. Even if you don't know how to do it and are worried that you might screw up we recommend just trying it anyway. If you are already set on buying new drill bits anyway, why not at least attempt to sharpen them yourself and save some money along the way? You can save money by doing it yourself and without the need of a drill bit sharpener. When Do Bits Need Sharpening? This is a tough question to answer. 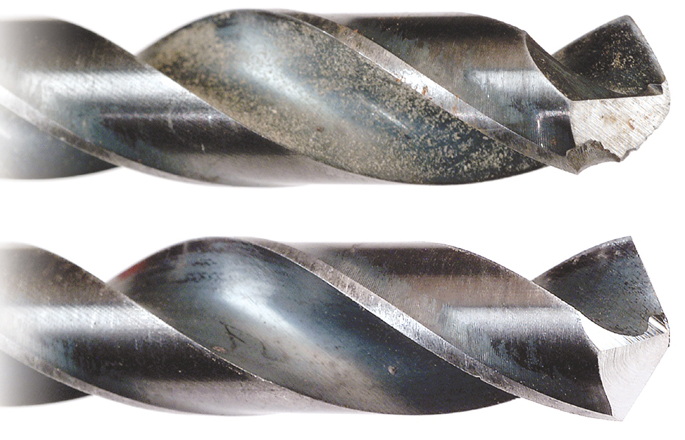 In a drill press, twist drill bits will work for a very long time, even when they are dull. If you are using a battery drill, you will find that dull bits will take longer and longer to drill the holes. You might also detect a faint burning smell as you are drilling. This is due to the fact that the blade of the drill bit has become dull and instead of forming a sharp edge to cut the wood, it is starting to rub the wood more which causes the burning smell. You also might feel your drill bits getting hot after not much use. Again, they are rubbing against the wood more than they should when you are drilling holes. When you get into these situations it is time to put a fresh sharp edge onto your bits. 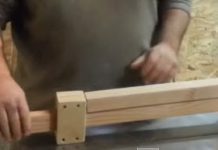 The video below shows a good way to sharpen your bits with a bench grinder. Should I Use a Sharpener? Drill bit sharpeners can be used, but we don't feel that they are absolutely necessary. They are a little on the expensive side for typical woodworkers to justify the expense. However, if you always like to have a nice clean cut and prefer to keep your drill bits sharp all the time, then a sharpener is certainly easier and less time consuming to use than using a bench grinder and doing it by hand. If you are looking for a sharpener to purchase, we recommend the Drill Doctor 750X. The drill doctor is a great sharpener with a diamond sharpening wheel. It can sharpen each bit in under 60 seconds, which is much less time that you are likely to spend if you are sharpening them by hand. It even handles drill bits up to 3/4″ so it can be used for most of your twist drill bits. Whether you sharpen your bits by hand or use an automatic sharpener, you will certainly see a difference in the clean cuts of your twist drill bits. As we mentioned before, if you are already going to purchase new bits anyway, it won't cost you anything to try to sharpen them yourself using a bench grinder. If you are a professional or don't want to constantly be buying new and expensive drill bits all the time, then maybe you need to invest in an automatic sharpener, which will make your life much simpler.